John Morris has taken to social media to proclaim he is ready to step up in banned coach Shane Flanagan's absence to guide Cronulla in the 2019 NRL Season. The former Shark, who finished with 300 first‑grade games in his career which also included stints with Newcastle, Parramatta and the Wests Tigers, posted a photo from his final match in 2014 in his Instagram post. 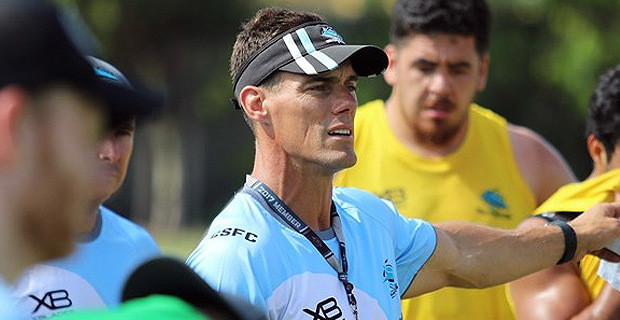 Morris was named interim head coach on Thursday with Jim Dymock to remain as an assistant coach after last month the Sharks announced they would be co‑coaches in the wake of Flanagan's indefinite ban for breaching the conditions of his previous suspension following Cronulla Shark's peptide scandal. The NRL 2019 Season will begin on the 14th of March.